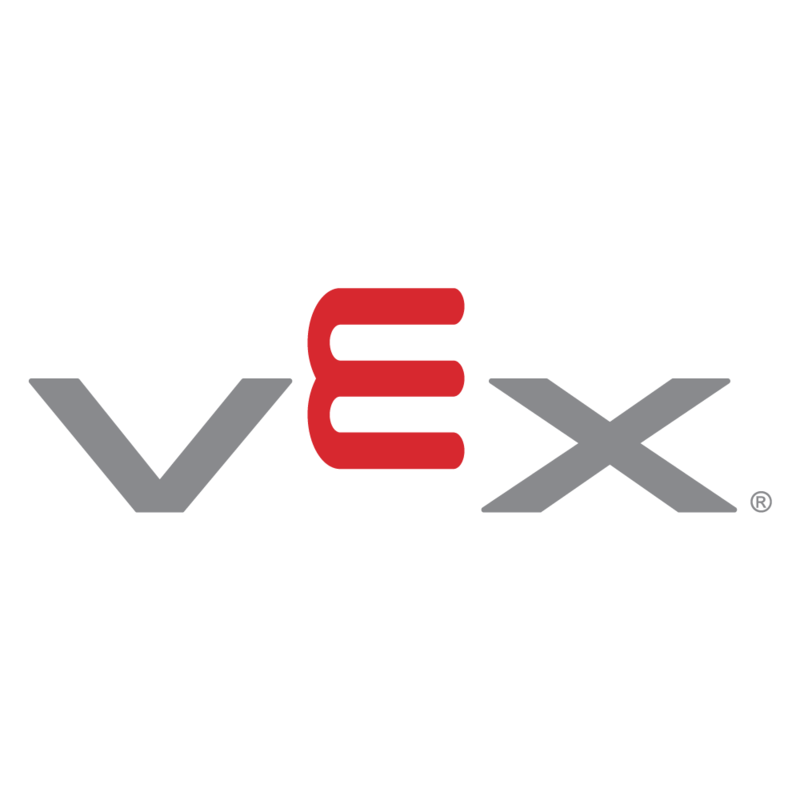 Take your VEX EDR robot to the next level with the V5 System Bundle. This bundle includes everything you need to get started with V5, and is engineered to provide the most advanced robotics experience, right at your fingertips. This kit (276-7000) has replaced the original V5 System Bundle (276-4800). The V5 Robot Brain allows for "on the fly" device connection and port swapping. Legacy VEX EDR Sensors and Motors are also supported through eight 3-Wire ports. Select from one of eight user downloaded programs, or run device diagnostics and configuration for real-time feedback, all right from the brain. The V5 Robot Brain can be mounted in a variety of ways. The brain can be attached to the robot via four 8-32 mounting inserts on the bottom of the brain, or through detachable mounting flanges. The V5 Robot Brain uses a Cortex A9 processor in tandem with a FPGA to create a device that is 15x faster than the its predecessor. The V5 Robot Brain also has expanded memory, and additional storage for user programs. With its Monochrome LCD screen, the V5 Controller provides users with instant feedback from the Robot Brain. Programmers can send data and multilingual text to the screen for debugging and driver information. The V5 Controller includes a programmable haptic feedback that can be triggered as events happen, such as intaking an object. The Controller's integrated 3.7v Li-ion battery can provide up to 10 hours of life on a single charge. With its USB port, the Controller can be charged in multiple ways such as a wall socket, laptop or USB power bank. The V5 Robot Radio allows your V5 Robot Brain to communicate with other devices such as the V5 Controller. All wireless communication to the V5 Robot Brain is done through the V5 Robot Radio, including competition control and wireless activation of VEX Coding Studio programs. 3-Wire Expansion Add 8 more ports using a 3-Wire Expander. The 3-Wire Expander uses one Smart Port. 1. A Field-programmable gate array (FPGA) is an electronic component used to build reconfigurable digital circuits. The V5 Brain uses the FPGA for touch screen inputs, screen layering, 60 Hz screen refreshing, timers, and the 21 smart ports.